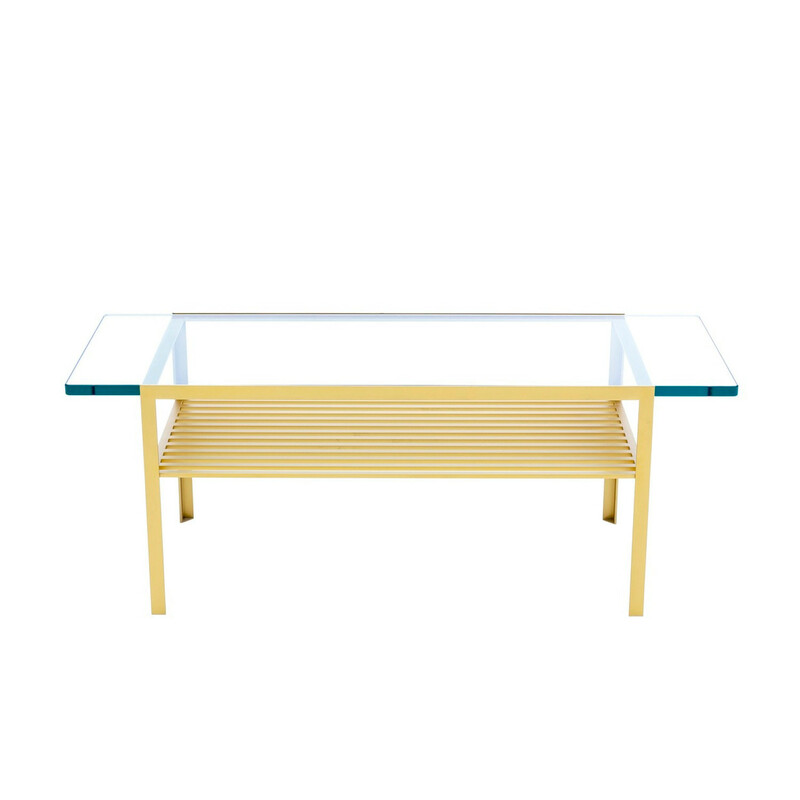 Table Vibration Coffee Table combines the radical thickness of transparent glass with a rhythmic steel profile base. Steel frame lacquered gold or aluminium. Table top: 19 mm thick hardened glass. Table Vibration Cocktail Table dimensions: 1130 mm W x 441 mm Dx 425 mm H.
You are requesting a price for the "Table Vibration Coffee Table"
To create a new project and add "Table Vibration Coffee Table" to it please click the button below. To add "Table Vibration Coffee Table" to an existing project please select below.